An interview with David Sykes! Ashley Klinger & Co. recently had the opportunity to chat with still life & food photographer David Sykes, who gave us the scoop on getting started in the business, how to develop your "voice," and his most challenging (but ultimately rewarding) project! AK&Co. : Can you tell me a little bit about where you're from and how you got started? DS: I grew up in the U.K. in the countryside, outside a city called Leicester. I started off studying graphic design - part of the course was photography, and I quickly realised that that is what I wanted to do as a career. I then studied photography for 2 years, which lead into assisting. I was a full time assistant for one of London’s top advertising photographers for 4 years, and in 2001 I decided to set up on my own. AK&Co. : Your work is very much your own unique style. When do you think you found your personal voice through photography? How did you get there? DS: I started to find my style a few years after stopping assisting. It takes a while to break away from the style of those you have learnt from and form your own take on photography. I wanted to tell stories with my work, so I started to create narratives and build it from there - testing is a great way to find your own style. AK&Co. : What was the most surprising or challenging shoot you've worked on? DS: I did a shoot for British telecom in the U.K. - they are the biggest phone company here. The brief was to produce full size window stickers of customers looking into the offices, so that they could be viewed from the inside (seeing the front of the people) and viewed from the outside (seeing the backs of the people). The challenge was to shoot the front and back at the same time. This was in the days before we all shot on digital, so it was on film with analog cameras, and it was quite a challenge to have both cameras fire at the same split second. I managed to work it out by setting it up in a huge studio with lots of remote triggers, capturing it all in sync. The results were great - almost too realistic, as one of the stickers was used on the street facing windows, and a passerby called the police because they thought someone was trapped in the window ledge! AK&Co. : It sounds like it was very successful! Do you have a favorite shoot you worked on? DS: I’ve had so many fun shoots over the years... I’m very lucky; it’s hard to name them all. AK&Co. : Where do you find inspiration for your work? DS: I try to find inspiration for my work out in the real world. I’ve been very fortunate to travel quite a bit, so I find seeing new places and people inspire me and trigger my imagination. For instance, I came up with the idea for my balloon breakfast shot when I saw someone walking down the street holding a balloon with an additional balloon inside of it. I thought it looked like a fried egg, and from that I created an English breakfast out of balloons. Music and film have always been a source of inspiration for me, as well. AK&Co. : What is the most important thing to you when composing a photograph? DS: For me, lighting is the most important; I feel it can contribute to the story that you are trying to communicate with the viewer. AK&Co. : Do you have any dream projects or jobs? DS: I’ve always thought shooting the cover of the New York Times Magazine would be great. AK&Co. : What is your general approach when working on an ad job? DS: It changes from job to job, to be honest. The main thing to start with is understanding what the agency is trying to achieve with the project, then I start to tailor my approach to the project to best communicate the idea they have. AK&Co. : Is there any advice you'd give to an aspiring photographer? DS: Assist to learn from the best, test to work out what you want to do and what you enjoy doing, then get your head down and work hard. Click here to see more of David's work! David Sykes' cover for ShortList! David Sykes teamed up with ShortList magazine to shoot their early April cover! David's punchy lighting is attention grabbing, and his quirky style is perfect for this unique food shoot. You can find more of David's work here! This summer, David Sykes and textile artist Jessica Dance collaborated to produce a luxury watch shoot for fashion and lifestyle mag, Tatler Magazine! As a specialist in model making, Jessica constructed 8 unique sock puppet characters for the shoot (which are undoubtebly cute) that would sport the watches! Tatler Magazine had proposed the idea to the two, and together, they conquered and created these amazing photographs! Interested in seeing more of David's work? Click here to see his full portfolio! "When model maker Jessica Dance asked me to help with her 'Material World' exhibition I jumped at the chance having worked together on a few wool based projects in the past I knew it would be a fun shoot. Jess was asked to create her own exhibition as part of the Spring Knitting and Stitching show, she decided to create an exhibition based on items that you might find in a pawn brokers shop and recreating them out of wool to display at the exhibition. She wanted to have prints on the wall of the items that she'd made, they ranged from a knitted Chanel handbag, a knitted Apple Macintosh from the mid 80’s to a woolly AK47 rifle! As they were so different in scale and from such diverse backgrounds I thought it would be good to photograph them in a familiar way to the viewer, so I recreated how they would have seen the items represented in the past, whether it was in an advert from the 80’s or a luxury editorial spread or even a reportage story. I wanted the shots to be a pastiche of the way the products had originally been represented, the twist being at closer inspection they were beautifully crafted out of wool". Check out David's full portfolio here! Food Jewelry by David Sykes! Our still life guru David Sykes has created some tasty new photos in collaboration with food stylist Olivia Bennett. Check out his food jewelry photos below! And of course you can see more of David's portfolio on our site! David Sykes is back with his annual "Adventgram" Christmas Calendar. Each year, David creates this fun and festive daily countdown chronicling the month of December via various numeric photographs. Join this year's countdown by following David on social media! Check Out David Sykes' Latest Ads for EBAY! David Sykes recently teamed up with Adam & Eve DDB to produce Ebay's latest ad campaign! Out now, the ads offer a clever take on the brand's convenient and inexpensive marketplace. Check out the four ads below, and for more of David's work -- click the link above! David Sykes is an award-winning photographer... literally! The artist's print ad campaign for Marmite, titled "Neglect" and shot earlier this year with adam&eveDDB, took home THREE GOLDS at this year's Cannes Lions International Festival of Creativity!! Featured below are a few of the ads. We're obsessing over the latest installment of David Sykes' "Faux Food" series. Aided in design by stylist Jessica Dance, David has been able to create a memorable series of "Faux Food" photographs, capturing scenes cleverly comprised entirely of wool. Check the shots out, below, and for more of David's creative conceptual pieces, visit: blog.davidsykes.com! David Sykes: New Ad Campaign!! "Love it. Hate it. Just don't forget it" is the slogan currently running in conjunction with the latest ad campaign for Marmite. Shot by photographer David Sykes, the "Marmite Neglect" campaign plays upon the contradictory feelings many UK consumers have for the historic condiment, which, with yeast extract as its main ingredient, calls for a particularly acquired taste. Shown below, David's images are the focus of the the company's latest advertising feat, shot with London ad agency adam&eveDDB and appearing in print ads across the UK. Depicting fully-stocked cupboards with jars of Marmite tucked negligently in the background, the ads offer a comical acknowledgement of the dichotomy between those consumers who "love" the product and those who "hate it." Things are taken an even wittier step further in Marmite's t.v. commercials. Channeling real-life animal rescue programs, the television ads follow a fictional "Marmite Rescue Unit" in its search to uproot neglected jars of Marmite from negligent consumers' homes before re-housing them with loving families. Since its release, the "Marmite Neglect" campaign has received an outpouring of praise for its clever approach to this famous schism in consumer sentiments. The campaign has been raved about on numerous blogs, and even named "Best Outdoor Ad"! Check out the advertisements below, and for more of David's work, be sure to visit the JMI Site! With his trip to the U.S. now over, JMI photographer David Sykes will be saying his goodbyes to the Big Apple today as he boards his plane for London. In light of his departure, we'd like to share this stunning photo of David's: a retro period piece featuring the American airline that became one of the most prominent cultural icons of the 20th century - Pan Am. Click on the image below to view more of David's work, and a special thank-you to all those who met with David in New York and Chicago during his visit! David Sykes - Buona Pasqua! Back in February, David Sykes was commissioned by Irving & co to shoot Carluccio's 2013 Easter ad campaign! Appearing on the Italian restaurant's Easter ads, David's beautiful photographs of Carluccio chocolate candy eggs are the perfect treat to round out the Easter holiday. Check out the images below - and to read more about David's experience shooting this ad, or to view the video he filmed while on set, click here!!!! David Sykes is here in the States!! Originally from London, David will be in the New York and Chicago areas from now until April 10th - and would love to work with you! David will be in Chicago from March 28th-April 1st, and then will be back in New York from April 2nd-April 10th. If you are interested in working with David, or in setting up a meeting with him, please contact us at: 212.564.0216 or ashley@jmireps.com! With the holiday season upon us, there are new festivities and big family meals to be had! To prepare yourself for your holiday fun, check out photographer David Sykes' playful take on "Christmas Pudding". David's "faux food" photograph takes a seasonal staple and turns it into a fun and spirited creation - just in time for the most spirited season of all! But don't take our word for it - the proof is in the pudding. There are only 19 days until Christmas...and we're not the only ones counting! Photographer David Sykes has relaunched his holiday ADVENTGRAM project, a recreation of the twenty-five day Advent Calendar - with a twist! Begun in 2011, the project combines David's playful and innovative artistic style with the ultimate social media platform for picture-sharing: Instagram. Each day in December, the photographer finds and shoots the date, and then uploads his pictures using Instagram. From now until Christmas Day, David will be sharing his photographs, and is inviting Instagram users to join along! Click on the image below from last year's Adventgram calendar to learn more about David's project, and how you can join in on the holiday fun. Check out David Sykes' newest ad for Milka! Shot in London with ad agency Crispin Poter + Bogusky, the ad campaign has been spotted on Billboards all over Europe. We wonder where they'll pop up next! Here in New York we are recovering from Sandy but still wanted to wish you all a very Spooky Halloween. See the below image from David Sykes, and click on the teeth below to see all new images on David's site. PDN Objects of Desire Photography Contest: David Sykes featured! The PDN "Objects of Desire" photo contest winners have been announced and featured in the November issue of PDN magazine. We are thrilled to announce that David Sykes' "Light Breakfast" was selected out of thousands of submissions as one of 6 in the Food and Still Life category! Huge congratulations to him. All the winners images will be reproduced in a print gallery at the 2012 PDN PhotoPlus Conference + Expo, which takes place Oct. 24-27th, at the Javits Center here in NYC. Photo Phriday: Officially Olympics Time! Today is the day! Set your DVR's or, even better...cancel your Friday night plans, grab some tissues and get ready for the Opening Ceremony of the Summer 2012 Olympics! It will be difficult to top the Bejing 2008 Opening Ceremony, but somehow they'll do it! Last week we posted the Hope Solo Seiko campaign shot by Morten Smidt as well as some Olympic party ideas from Every Day with Rachael Ray shot by Lucy Schaeffer. Today we have a special treat! David Sykes shot this outtake for Bloomberg Business Week. This was shot in the offices of Rio Tinto, the company that mines the metal for the Olympic medals! Believe it or not, those medals are the ACTUAL ones that will be given out to the athletes at the games! When we asked him what it was like, David shared that "they were extremely heavy since they are the biggest olympic medals ever made.". So crazy and exciting! We can't even imagine what it would be like to be in London right now, let alone have the opportunity to photograph the medals! In honor of the Queen's Diamond Jubilee, David Sykes discovered this hilarious jelly mold and wondered what better way to celebrate the Queen than to photograph his finding? As David wrote on his blog: "I found this jelly mould by Lydia Leith and knew I wanted to do a test shot with it unfortunately I have been so busy I didn’t manage to do it before the jubilee so to wet your appetite I created this more simple shot for the jubilee weekend." Certainly did wet our appetite! Can't wait to see what the shot looks like! Happy Monday and to everyone celebrating the Queen, we hope you are enjoying yourself! A New Direction for David Sykes? Something fresh for friday! We recieved these awesome landscape images from David Sykes just a few minutes ago. Never fear, he will continue to shoot those thoughtful conceptual shots you know and love him for. But it is always great to see the new and exciting directions our photographers are heading in! We are very excited to announce and share images from David Sykes' latest campaign for Cool Whip! Back in January, David came to New York City to shoot the dessert shots for the "Cool Whip Moms" campaign. Working in tandem with The Martin Agency and a very impressive team of Cool Whip experts, David captured some amazing food shots that make us want to take a bite out of our computer screens. Take a look at some of the images currently being used on the official Cool Whip Facebook page. Stay tuned and keep your eyes out for the rest of the Cool Whip campaign! Do you feel it? Everyone in the industry certainly does! Heck, it seems that everyone in the world is talking about the return of Mad Men. To get into the spirit and add to the excitement and anticipation for Sunday's big premier, we decided that for this photo phriday we would share some of David Sykes' images that have a real Don Draper feel! "Hey, what is that on that card?" a man turned and asked in the elevator after catching a glimpse of David Sykes most recent promo card. "I've seen those codes everywhere, but what are they? what do they mean?" Chances are you have seen an image like this considering QR codes are rampant these days! However, all of the ones that you've seen were (most likely) created on a computer. David Sykes took a different approach. Sykes gathered a variety of items including boots, microphones, hair dryers and briefcases and arranged them to create this masterpeice! After putting all of the objects in the right pattern to create the code, David took an aerial shot in his studio. The coolest part? It actually works! Note: the code must be printed. It will not work if you try to scan the code from the computer. But with that, grab your smartphone or Ipad and enjoy! Have you ever wondered if a plant would survive in space? Well, grab your backpack and your space suit and head to outerspace with Youtube. Partnering wih NASA and Lenovo, "Youtube's Space Lab" is asking kids ages 14-18 to come up with an experiment for space. The winning experiment will be performed on the International Space Station and broadcasted live on Youtube! JMI photographer David Sykes was selected to do the photography for the contest and the images are pretty outa this world if we do say so! Corny jokes aside, we can't wait to see what they come up with and what experiment wins! David Sykes Fuels the Imagination! The photos below are right up there with some of the coolest we have seen from David Sykes! In this recent campaign for Esso which is running all over the UK, David has really done some wonderful work! Can’t wait to see what comes next! Be sure to check these out, and show them to your kids! They will love them. 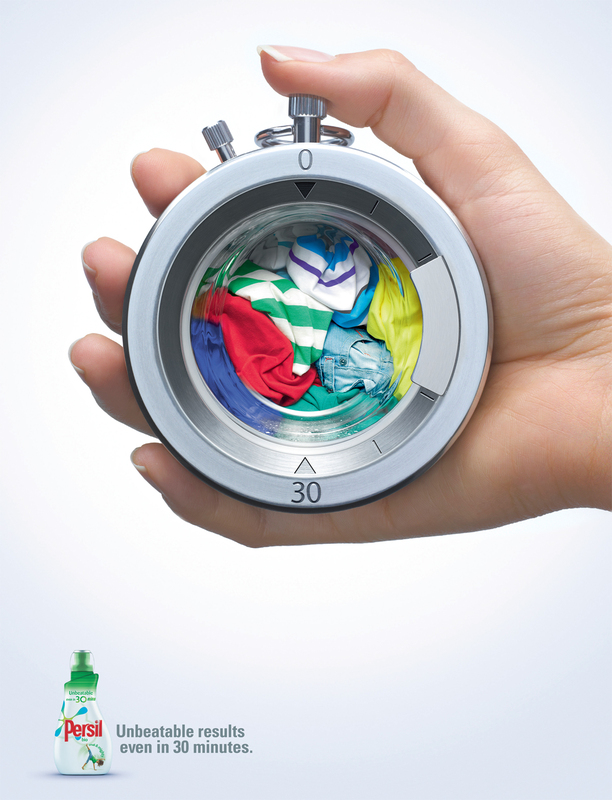 David Sykes recently shot the latest Persil campaign with BBH London. He has been on quite the roll since he got back from his last trip to NYC! a forecast of essays and debates looking into and beyond 2010 for a thorough look of what to expect.